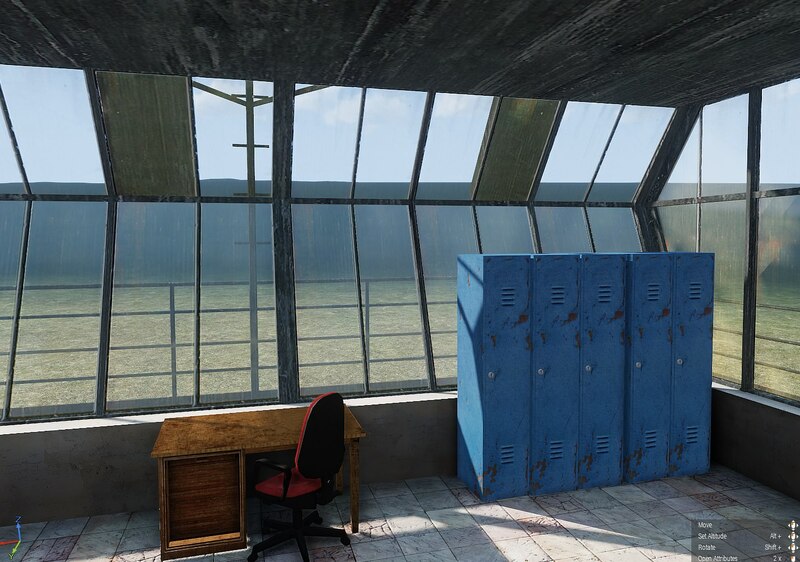 A lot of glass behaves oddly on Chernarus when looking through glass towards the water. Not showing the water at all. 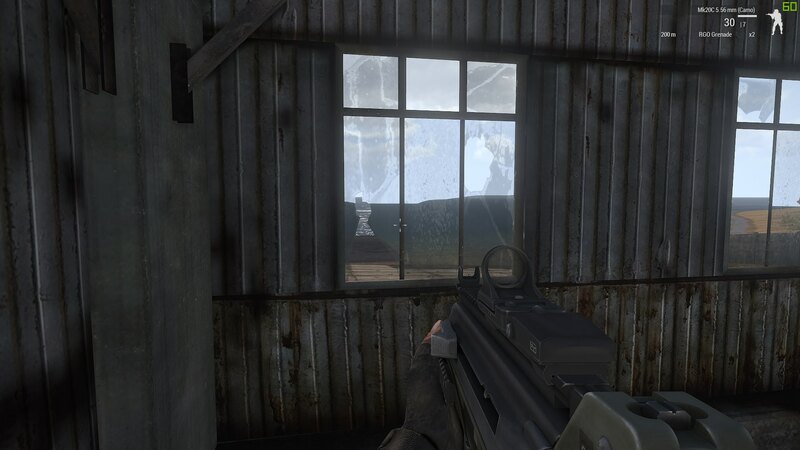 Possibly the glass faces are not sorted correctly or an issue with the glass rvmat that is used for most CUP windows.